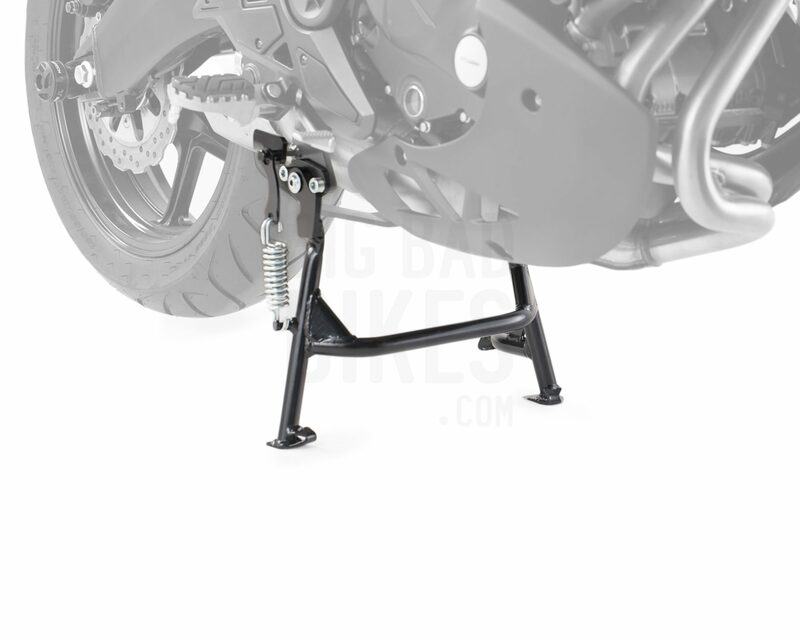 A functional center stand that allows for easy parking and maintenance of your Kawasaki Versys 650. SW Motech brings you the centre stand for the Kawasaki Versys 650. Gives you easy access to your bike for maintenance, as well as giving you added security when parking a fully loaded bike. The mechanics of it have been designed to make it extremely easy to put the bike up on the stand. Built specifically for the Kawasaki Versys 650 from robust steel tube construction with powder coated surface to ensure a long lasting product. 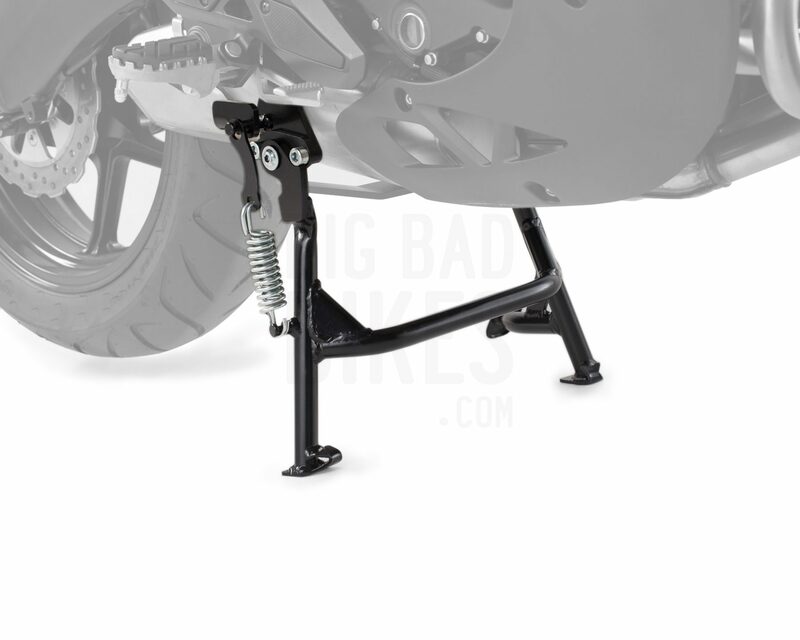 Centerstand for Kawasaki Versys 650.